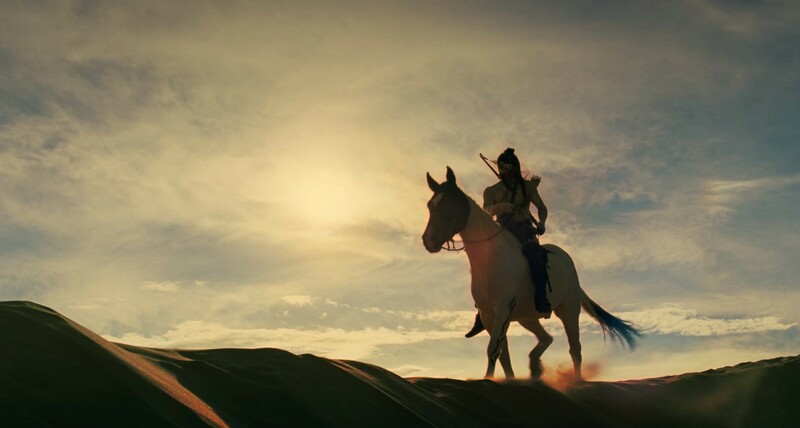 Complete Scene by Scene Breakdown of the Westworld Season 2 Trailer! It’s finally here! 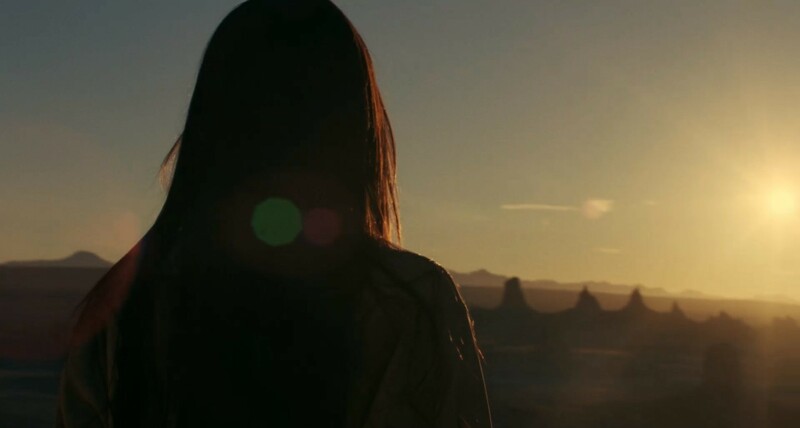 The trailer for Westworld‘s second season premiered during the Super Bowl last night, and it was spectacular. 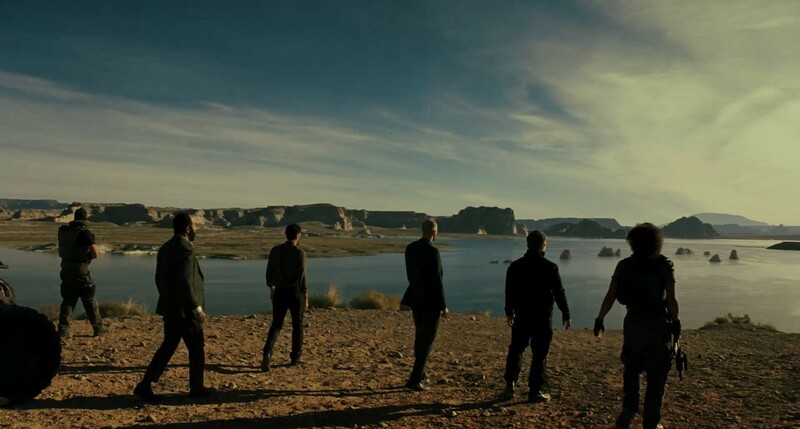 Fans have been eagerly awaiting new footage ever since the first teaser debuted during San Diego Comic Con – seven long months ago. Now that we finally have it, let’s dive in for a closer look! 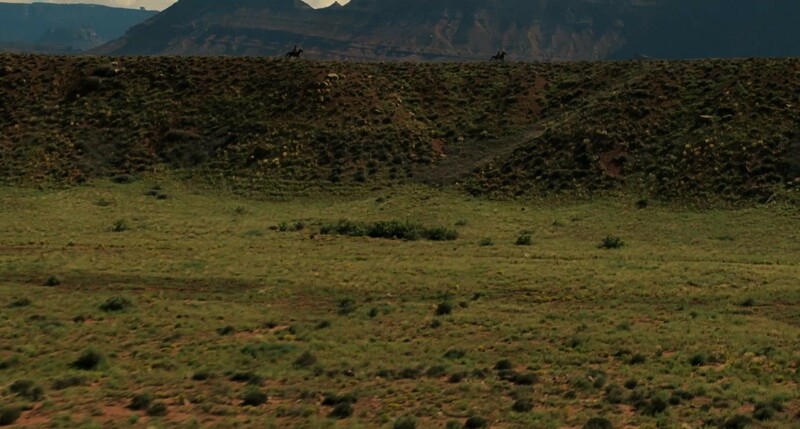 As Dolores talks about “a world where you can be free,” we see a shot of two figures on horseback – they are difficult to make out, but I’m fairly certain this is Teddy (James Marsden) and Dolores (Evan Rachel Wood). It’s ambiguous whether this is past or present time in the park. The next two characters are seen only from behind, but they don’t look familiar – these are likely new characters for season two. Whether they are hosts or guests is up in the air at this point. 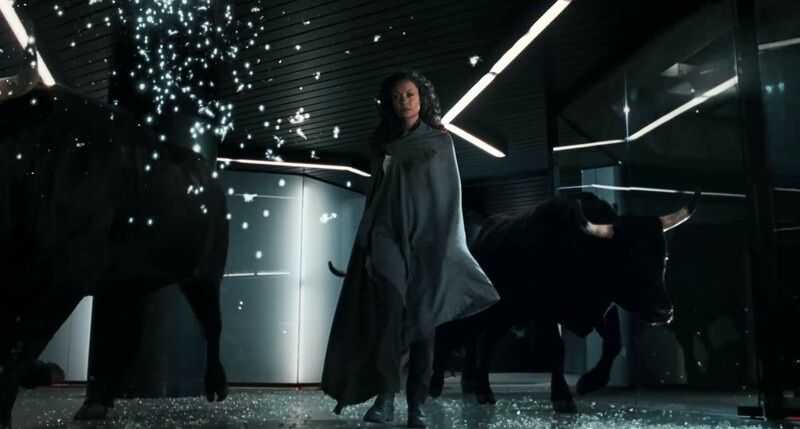 There are several scenes with bulls running through the Delos facility and attacking security – later we see Maeve (Thandie Newton) in their midst – she appears to be controlling them. 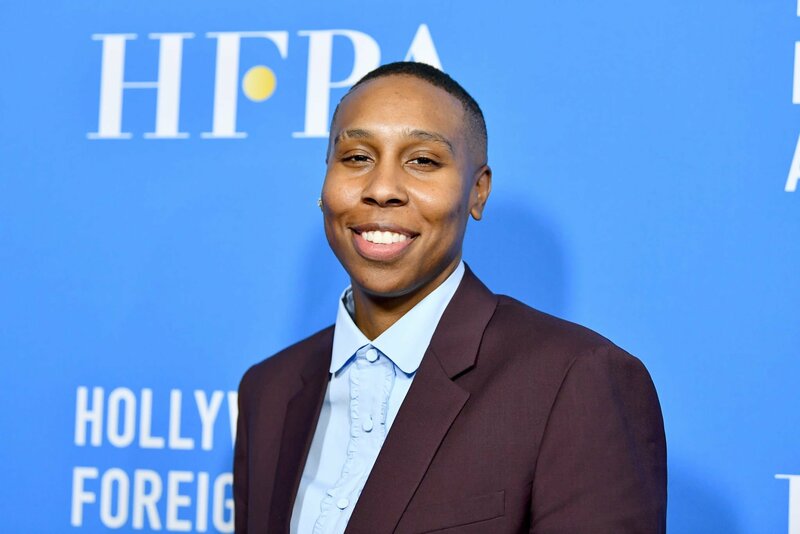 She already wreaked havoc throughout the building at the end of season one with help from Armistice (Ingrid Bolsø Berdal) and Hector (Rodrigo Santoro). Is she finishing what they started or is she attacking reinforcements? Time will tell. As Dolores says “this world deserves to die,” we see Bernard Lowe (Jeffrey Wright) with security personnel, one of which appears to be Ashley Stubbs (Luke Hemsworth). They approach the edge of a cliff and look down to see dozens of bodies floating in the water. Are they host, or human? 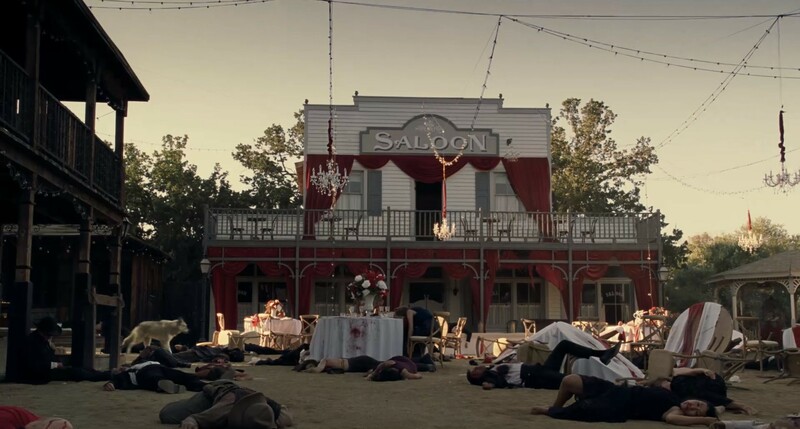 Given Dolores’ ominous warning, I’m guessing these are humans, and they looked to be dressed as guests, not employees. It definitely isn’t a good time for visitors. We already knew that Louis Herthum (Peter Abernathy) would be returning for season two, but it’s still good to see him onscreen. His situation looks grim, however. It will be interesting to see where his storyline goes, after his programming was completely erased and then partially restored last season. I imagine he won’t be very stable – hence the need for three men to hold him down here. 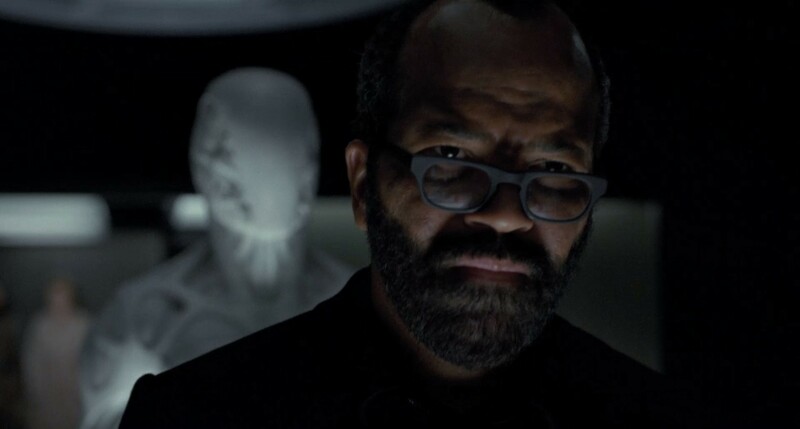 Next is the previously released shot of an unfinished host menacingly approaching Bernard. Has someone tampered with it? Do the conscious hosts view Bernard as the enemy, even though he’s one of them? We also see Teddy in dire circumstances – he has fear in his eyes as an unknown assailant grabs him from behind. 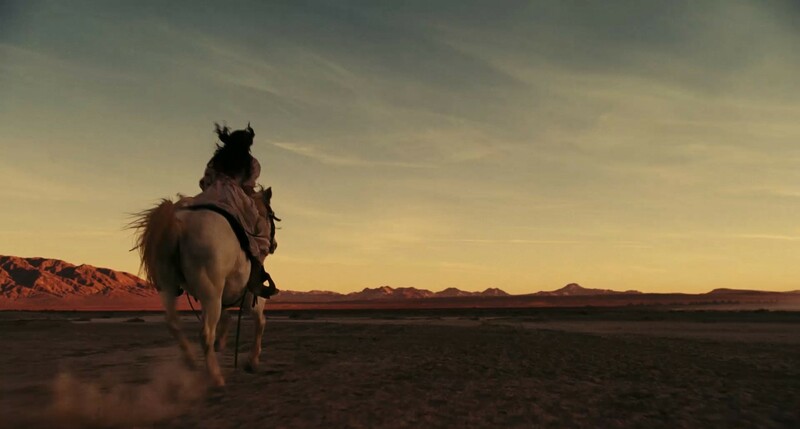 As Dolores says “this is your world,” we get a welcome scene with Logan (Ben Barnes) who was last seen tied naked to a horse and riding off to the far reaches of the park. He appears confused or surprised, but who wouldn’t be? 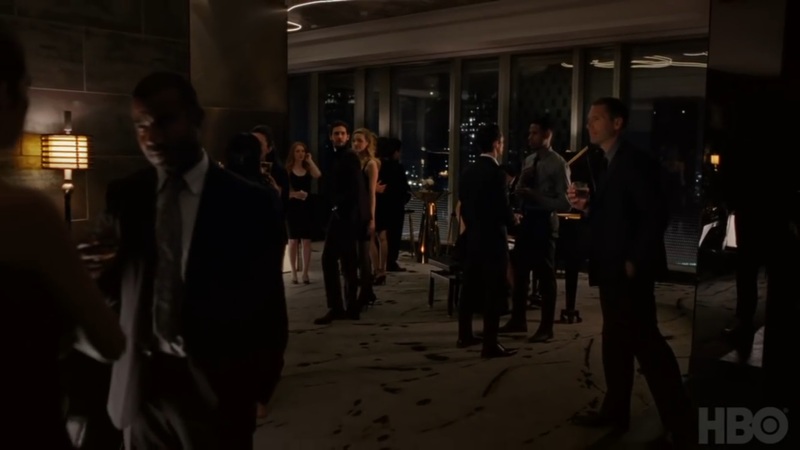 It seems everyone in the room is frozen in time – only he and the woman to his right are moving. Are the other people hosts? Is this the aftermath of his visit to the park? Logan seems to be turning toward someone or something – maybe William is continuing to toy with him. 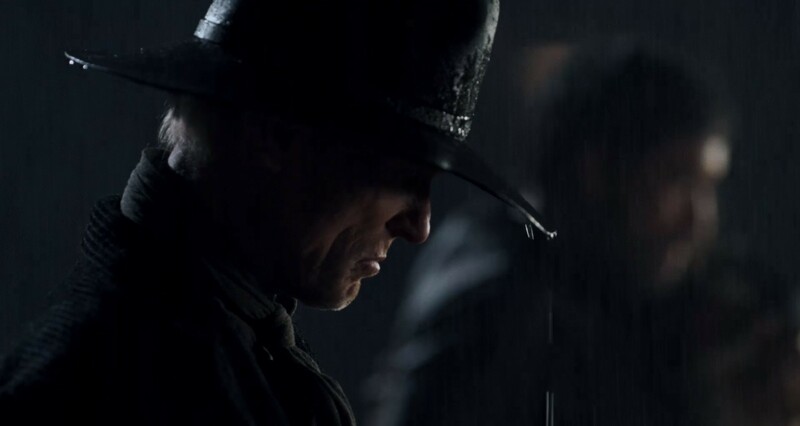 Speaking of William, the Man in Black (Ed Harris) is looking unusually sad here, although at least he appears to have his old buddy Lawrence (Clifton Collins Jr.) with him. Perhaps the host uprising isn’t as exciting as he expected. We finally get a confirmation that Clementine (Angela Sarafyan) is returning in this shot of her from the Delos lab. I suppose it could be a flashback, but she looks completely emotionless and almost as if she doesn’t recognize herself, so I suspect this is the post-“lobotomy” Clementine. 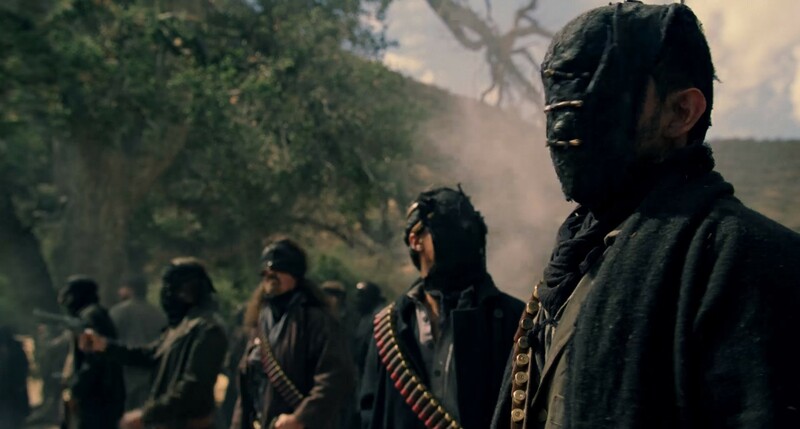 There are a few scenes featuring members of Ghost Nation, so it’s likely they will have a bigger role to play next season. 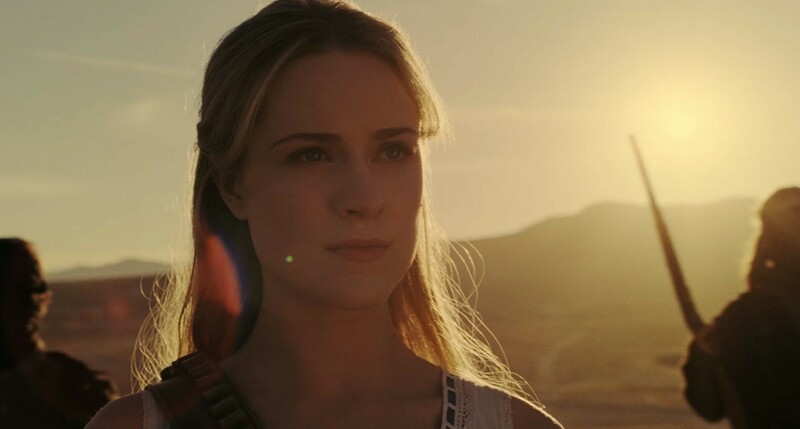 Since these next shots appear as Dolores says “we can save this world, we can burn it to the ground,” they may be instrumental in taking over the park. 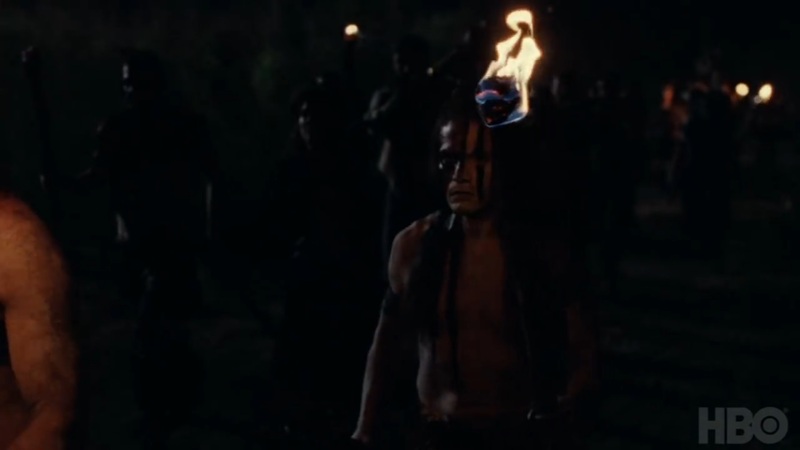 We get a glimpse of newcomer Zahn McClarnon in an unnamed role – could the person with bloody hands be Maeve, given the earlier scene of her dying? 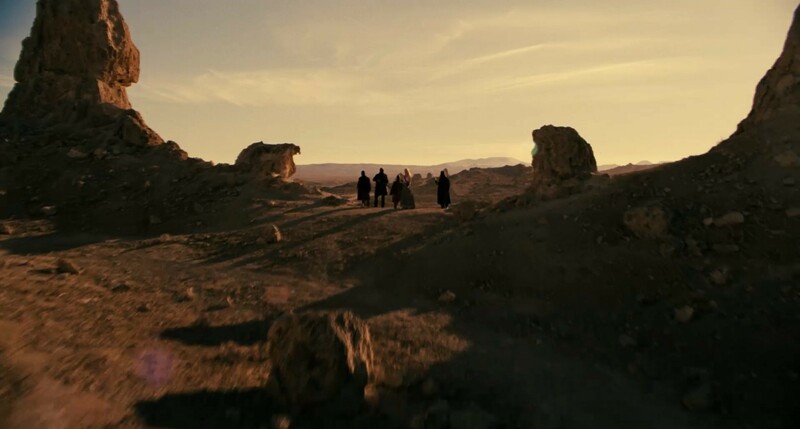 This shot is one we’ve seen before, from the previously released Comic Con trailer. 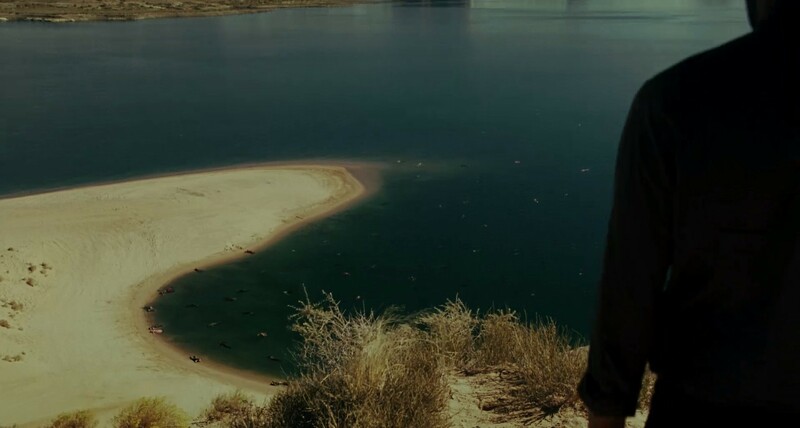 Teddy and Dolores look to be chasing down escapees from the Delos party from the season one finale. The second picture shows us the bloody aftermath of Dolores’ massacre of the board, with a familiar wolf running through the scene. Amidst all the death and destruction, we do get one happy moment. 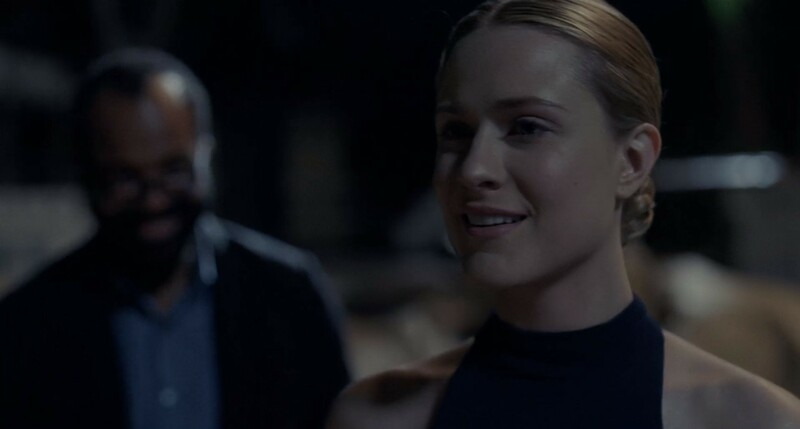 As the voice over talks about building a “new world” from the ashes, we see Dolores – looking modern and sophisticated in a black dress and sleek updo – and Bernard walking together and smiling. Perhaps they are discussing plans to free the other hosts? Speaking of ashes, is that what’s falling down on Maeve and Hector (Rodrigo Santoro) in this scene? Or could it be snow? I’m not sure if it ever snows in Westworld, so maybe these two travel to another park. 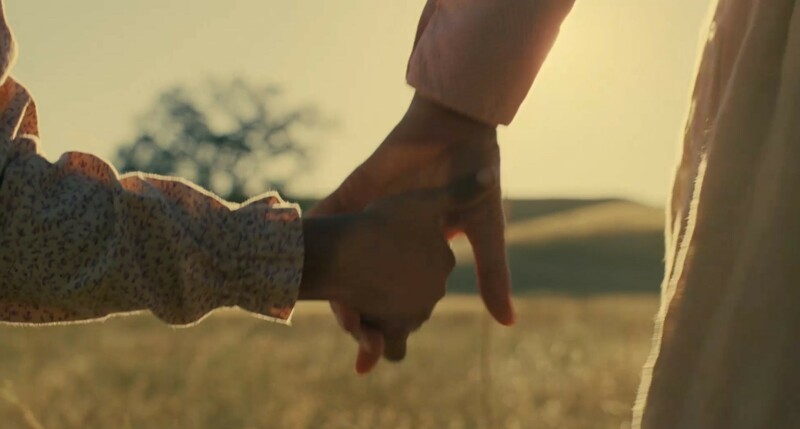 If you recall from the season one finale, Felix (Leonardo Nam) gave Maeve the location of her daughter, in “Park 1” – which may or may not be Westworld. 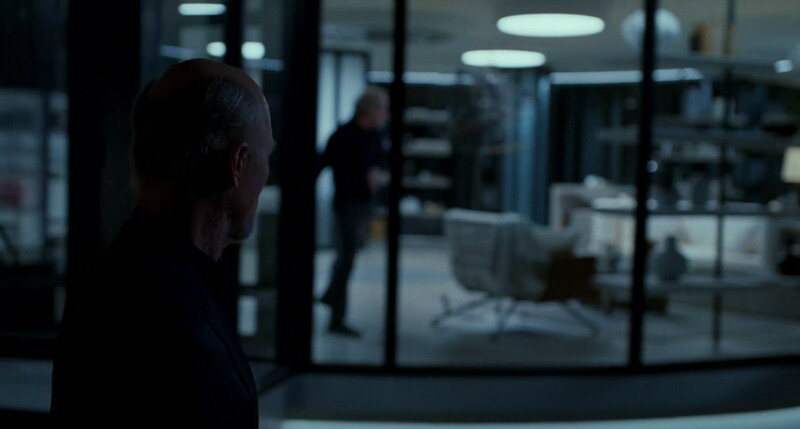 We see fighting inside the Delos control room, which could mean reinforcements arrive to take the park back from the hosts. Here is a shot of another new character, who may not be new after all – just previously unseen. 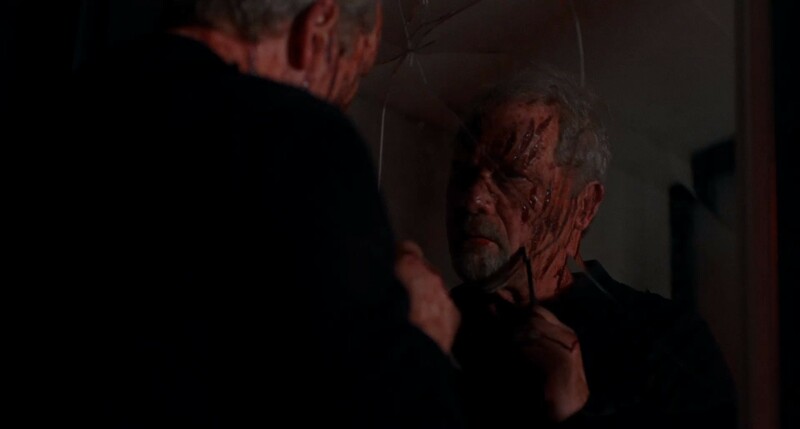 It’s difficult to say what exactly is happening here, but the man’s face is cut and bloody, and he appears to have a shard of the broken mirror lodged in his neck. This scene would certainly fit in with the current violence in the park, but I think this is flashback. If you check out the Delos Incorporated website, you’ll see a picture of the founder, James Delos (which I’ve included below). Striking resemblance, no? 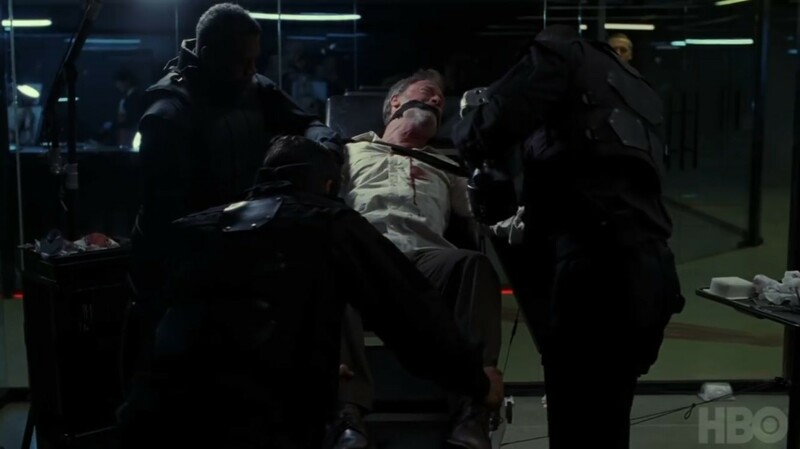 I believe we will see some of the aftermath of William and Logan’s visit, and this scene may be part of that storyline. We get a few more brief shots as the trailer rushes to the finish. 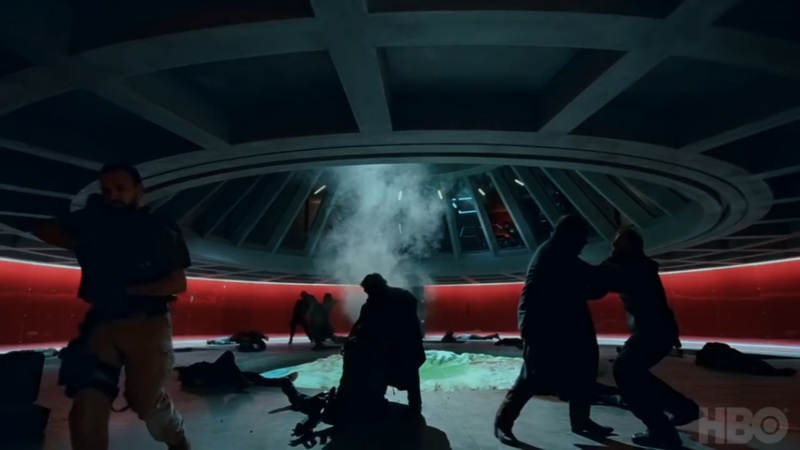 First, we have William walking through the Delos facility as a man (or host) violently throws a glass and shatters it. Next, we see what look to be rogue hosts (perhaps remnants of “Wyatt’s” men from last season). 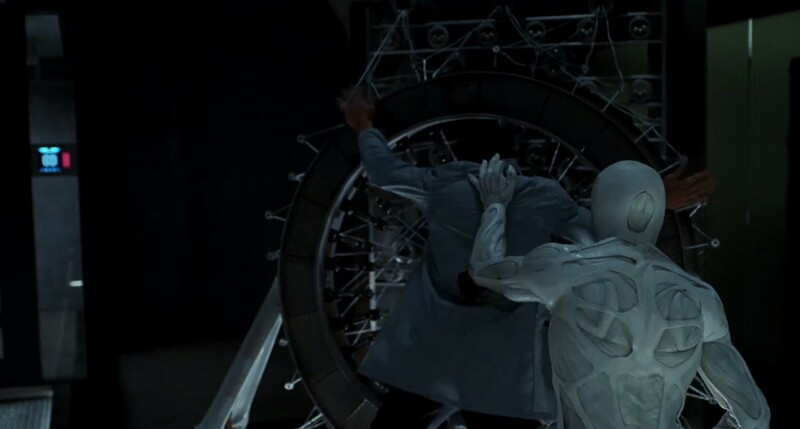 An unfinished host (which may or may not be the same one behind Bernard in the earlier shot), slams a bloodied Delos employee into a piece of machinery. It’s possible this is Bernard, but the man is wearing different clothing – he appears to have on a blue lab coat like those worn by workers in Narrative and Design. 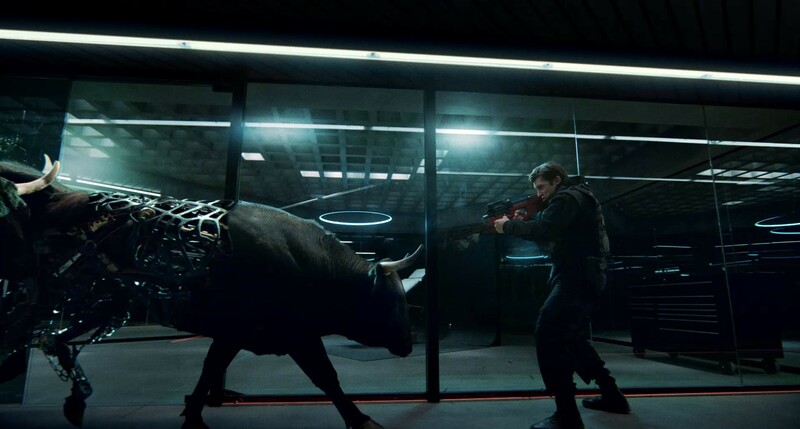 The trailer ends with a shot of Dolores surrounded by those same rogue hosts, and as the camera closes in, she says, “Our world.” Perhaps this was all a motivational speech before she and these hosts ride into battle…or slaughter. What do you think, Westworld fans? Notice anything we missed? Sound off in the comments! 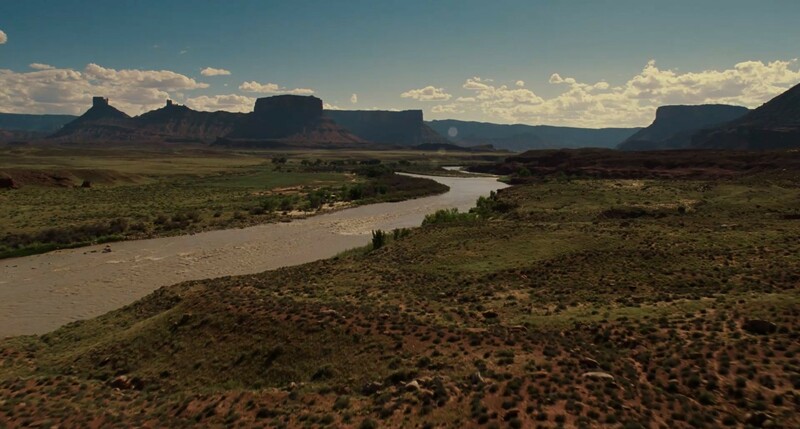 New Westworld Website Reveals 6 Parks and Other Hidden Clues for Season 2! This is probably my favorite article. Thank you for keeping me in the loop! 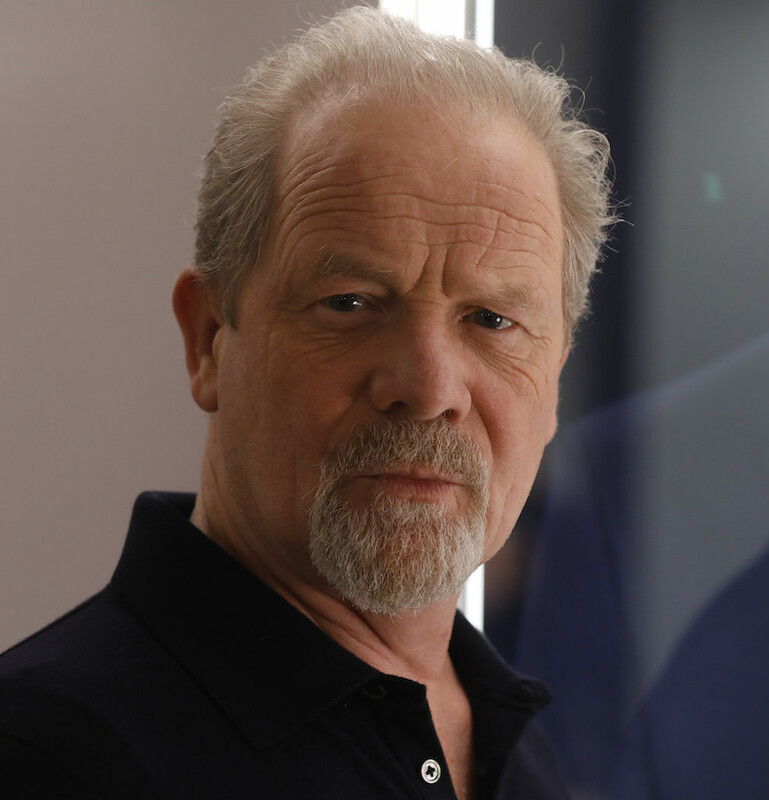 Peter Mullan (as James Delos) is a great addition to the cast. Awesome Recap. Thanks. 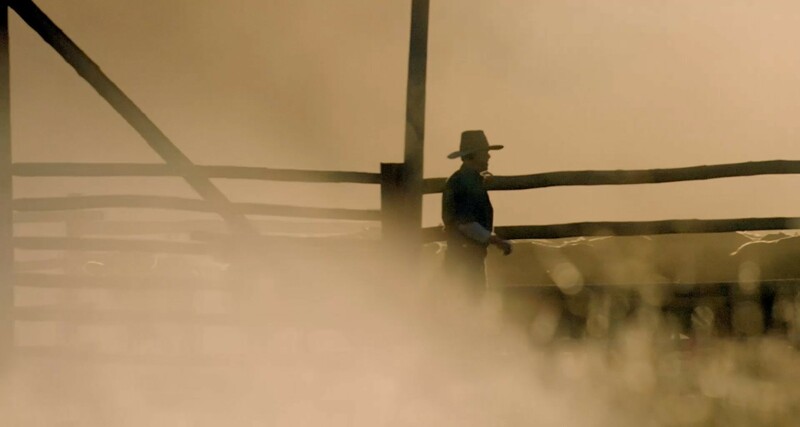 Cant wait..
…including that news that Zahn McClarnon is in S2. I’m thrilled – loved him in Fargo. Nice to know that everyone’s favorite white wolf, Ghost, will be making cameo appearances again in S2. 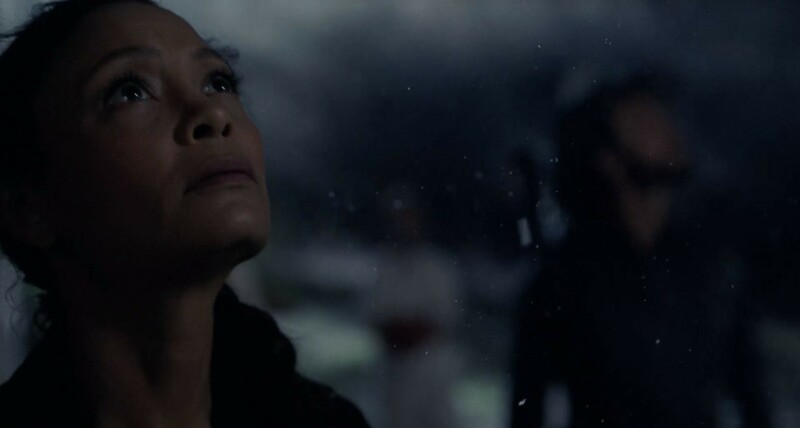 “Particularly as Maeve was informed by Jeffrey Wright’s Bernard character that everything that she’s done, like escaping the park, was programmed. 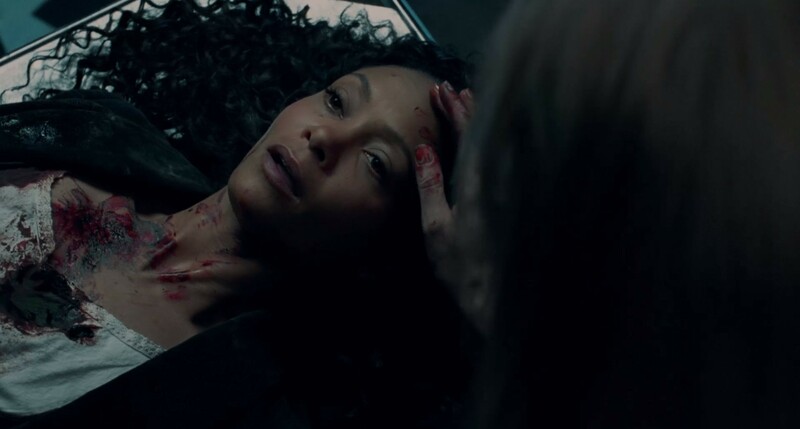 I found that deeply disturbing, and Maeve also found it violently disturbing, to feel like your mind is not your own, that these acts of defiance that were brave and rebelling against her oppressors were preordained.